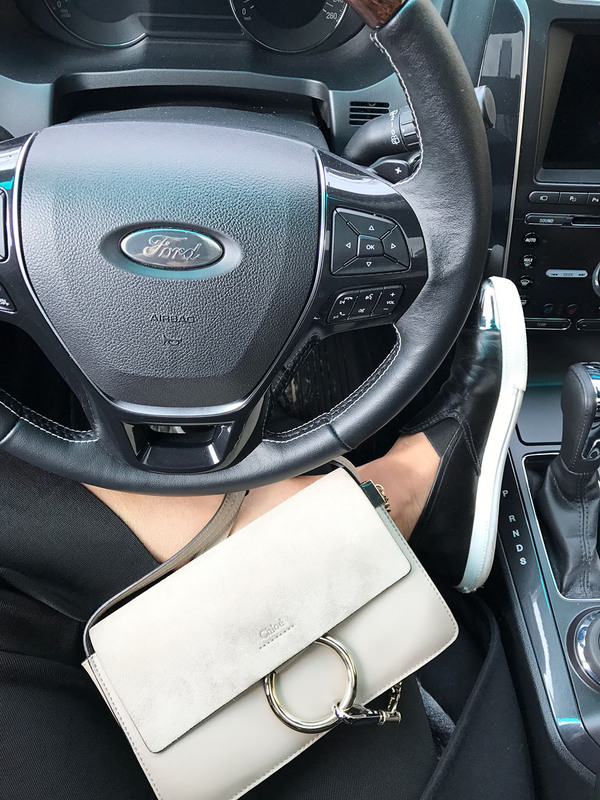 When I first got my driver’s license, I dreamed about having an SUV as my first vehicle. Coming from the west-coast, I had a great love affair with the outdoors. I used to hike once a week, go whitewater rafting around the Squamish/Whistler area, rock climb near Squamish Rock and let’s not forget the endless bus rides I’d take to Stanley Park just so I could go for a run around the sea-wall. The outdoors was my zen and having an SUV was the perfect vehicle to hold all of my equipment so that I could run off and do what I loved most at the end of the workday. Fast forward a few years later, I still wanted an SUV but I also wanted to embrace my new lifestyle in the east-coast. Ever since I moved to Toronto, I have slowly transitioned to becoming a city girl with a family and yes, I still have my love-affair with the outdoors. 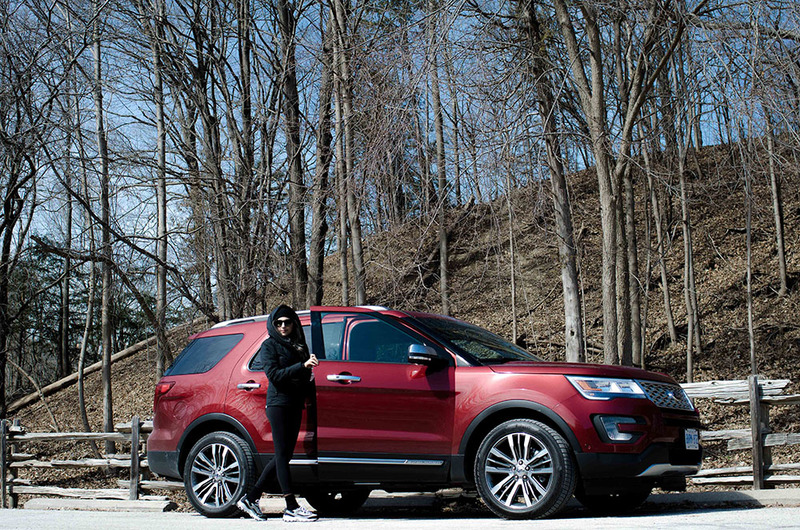 Ford Canada reached out to me to see if I wanted to take one of their new 2017 Explorer models out for a spin and I immediately said yes. I was finally getting the opportunity to upgrade my ride from a sedan to an SUV. 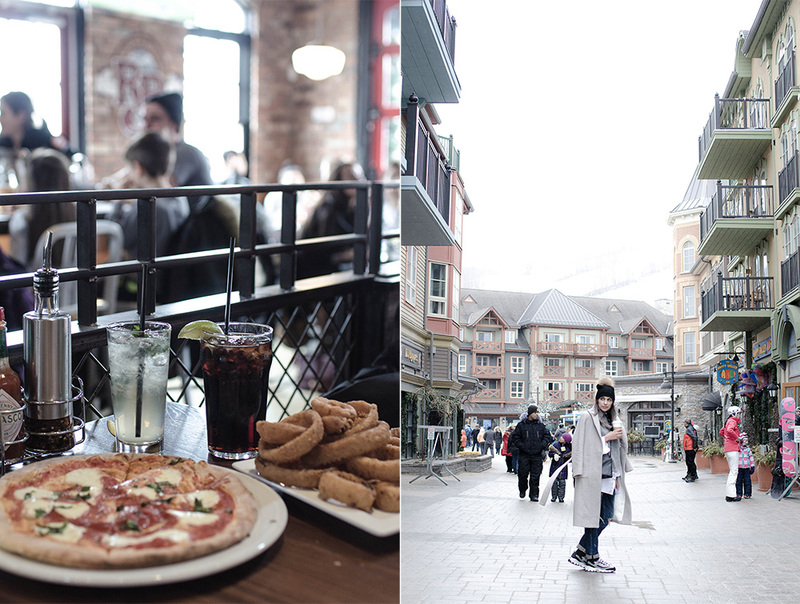 Going back to my moving to Toronto, there are a number of places I have been longing to visit, and near the top of the list was Blue Mountain. So what better way to explore my new home than visiting Blue Mountain with my hubs and the new 2017 Ford Explorer Platinum Edition. Right from the start, I was in love with how LUXE this vehicle was when we picked it up. Leather interior, gorgeous bucket seats, heated seats, two moon roofs and don’t get me started about all the tech this baby was loaded with. As you saw on my Instagram Story, I was blown away that they had perpendicular parking assist! All my vehicles at home have parallel parking assist but in a parking lot, you will find me spending a great deal of time hunting for a large parking spot, with me parking far far away such that I would have to walk a mile to my destination, just because I struggle with perpendicular parking. With this feature, the car simply parks itself, hands free! Another huge love is the SYNC 3 feature now with Apple Play technology. I loved having the luxury to talk to my parents and my babies hands free while we made our way to Blue Mountain, or play everything on my playlist when I got bored of the radio. Immediately after we arrived at Blue Mountain, we stopped by to pickup some chocolates and headed for Starbucks. My cup of Starbucks was perfect to keep me warm while I admired the view of the pond overlooking the mountain. Did you know that it gets so cold up here, that families can skate on Mill Pond? I know I can’t wait to come back here and skate on this pond. After getting my caffeine fix, we headed off to grab some pizza at Firehall Pizza Co. We ordered the Margherita pizza, sour cream and onion rings and shrimp tacos. I practically wolfed everything down so that we could make our way towards the Ridge Runner Mountain Coaster. For someone who doesn’t know how to ski or snowboard, this was a great way for me to experience the mountain. 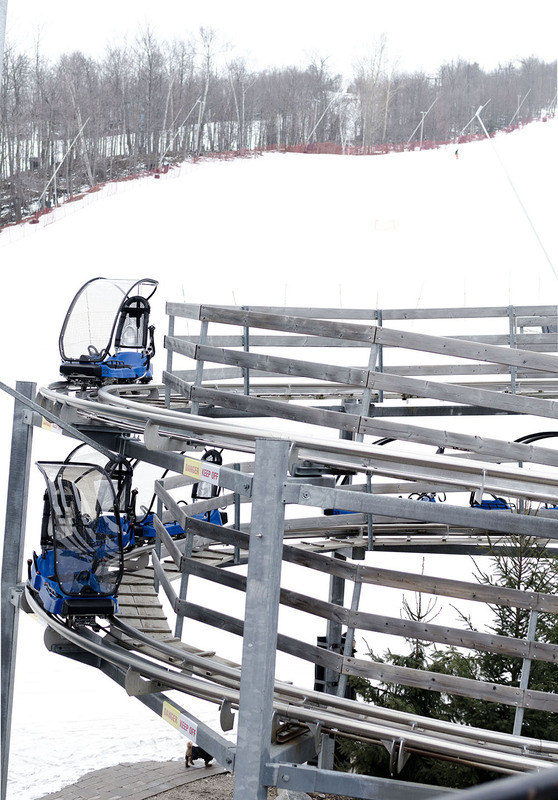 I loved having complete control of my ride up and down the mountain, plus knowing that if it got to fast, I could easily tap on the brakes. After the adrenaline pumping ride, I needed another cup of coffee, so I grabbed my last cup for the day and headed off to the Scandinavian Baths because we got a text message that we were next on the list. It was an amazing experience to sit in a hot bath while we were surrounded by snow. 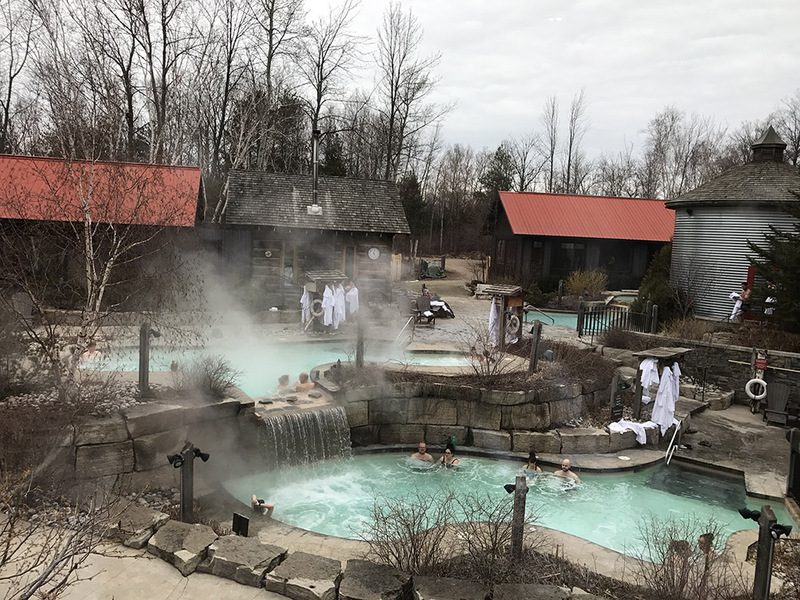 The hot springs felt amazing on my muscles and the staff were super friendly. They made sure we were hydrated and relaxed while we soaked for some time. We stayed there for about an hour before we had to make our way back home because I was missing my little glo worms, but I am already counting down the days for when we can return. After appeasing the west-coast nature loving side of me, I spent the second day in the city in my favorite neighborhood – Yorkville. Every time I go to Yorkville, the hubs and I would comment that if we had not bought a house, we would have invested in an apartment in Yorkville. I love how everything in Yorkville is so easily accessible. They have a wide variety of coffee shops, cute places to eat, great stores to shop at, and let’s not forget the ROM! Plus if I do decide to get that MBA, I would be walking distance from the university. As you already know, I am a huge coffeeholic so of course I made my first stop at my favorite coffee shop – Sorry Coffee. 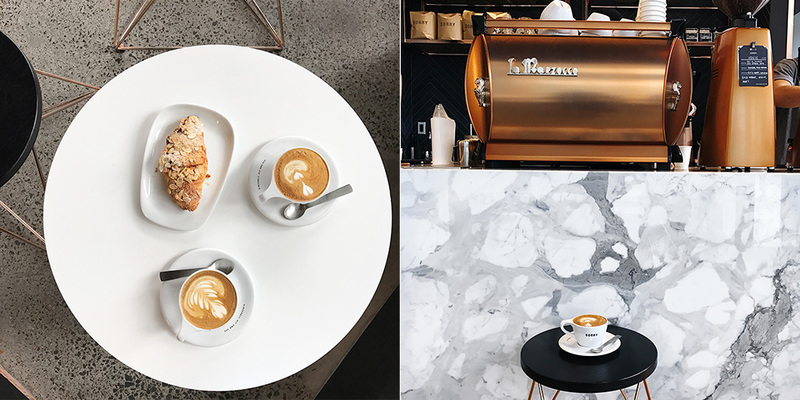 If you get a chance to visit Sorry Coffee, you have to try their flat white and their cortado. Whenever I feel sleep deprived, which tends to be often since I became a mom of twins, I need only one cup of their flat white or cortado to get that extra hop back in my step. Right after we had our cup of coffee we walked over to Chabrol. This cute little french restaurant sits right in the middle of Yorkville. I haven’t been to Chabrol since last summer and back then, all I had was coffee from their menu (are you surprised). This time the hubs and I indulged in Papillote and Ttoro. When I was on the west-coast, my friends and I would take turns hosting cheese, Belgium beer and vinyl nights every month. Basically we would bring over a variety of cheese and Belgium beers to the host’s house and one of good friends was responsible for bringing his vinyl record player (because he was the only one that owned one) and a few vinyls to play. Now going off track, I don’t drink alcohol so whoever was in charge of bringing the Belgium beers would bring me a case of the fanciest root beer they could find. I had a moment of nostalgia and decided to give in by ordering three of the four cheese options they had on their menu. The result…everything was sooo good! I wish I ordered a bit more food so that I could take some home and further indulge while watching my twins being lulled to sleep in their rocker. 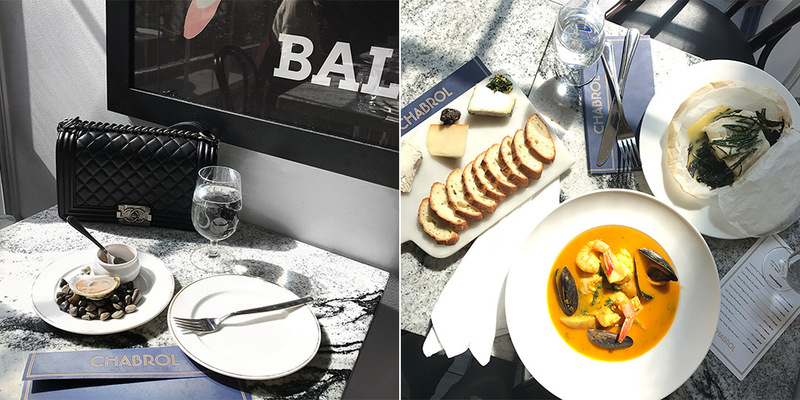 Right after we had lunch at Chabrol, we made our way to Holt Renfrew to check out their Coco Cafe. The Coco Cafe is popup for the month of March to promote their new beauty products and at the same time enjoy some complimentary beauty services. I went there just for the coffee…and maybe restock on a lipstick or two. 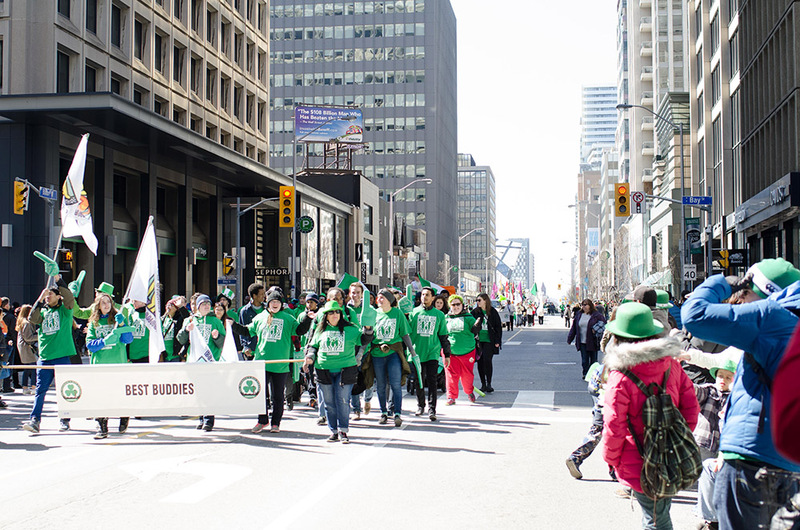 On our way out of Holt Renfrew, we stumbled upon the St. Patrick’s Parade and stood in the crowd and cheered with everyone while the marching band walked by in their greens. After the parade was over, we went to Pottery Barn on Bloor Street to see if they had this jumbo stuffed giraffe on site. I was pretty bummed to find out that someone had just picked-up their last giraffe a few hours earlier and that I would have to wait for over a week for the next one to arrive. That feeling didn’t last because I spotted the cutest jumbo lamb sitting on a rocker. If you have seen my Instagram Story, you know I am obsessed with lambs. I have a small lamb stuffed animal and a lamb rocker for my daughter, and let’s not forget all of the lamb print clothes and blankets. So no surprise that I was drawn to this lamb from Pottery Barn and had to take it home for my daughter. Right after we bought the jumbo lamb for her, we had to make our way back to return the Explorer. I am going to miss our weekend with this car because I seriously had an amazing time driving it up north to the mountains and south to the city. It’s the perfect vehicle for everyone. If you love the outdoors and want a vehicle that has ample room for your gear, the Explorer is it. If you want a vehicle that rides smoothly in the city without feeling bulky, again the Explorer is perfect. 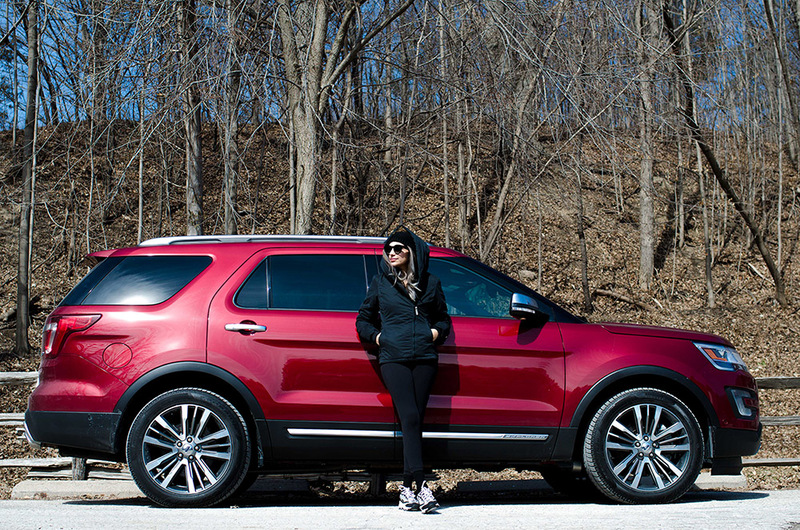 If you want a vehicle that can comfortably accommodate your family and has great safety features yet doesn’t look or feel like a family vehicle because it screams LUXE, the Explorer totally hits the head on the nail. 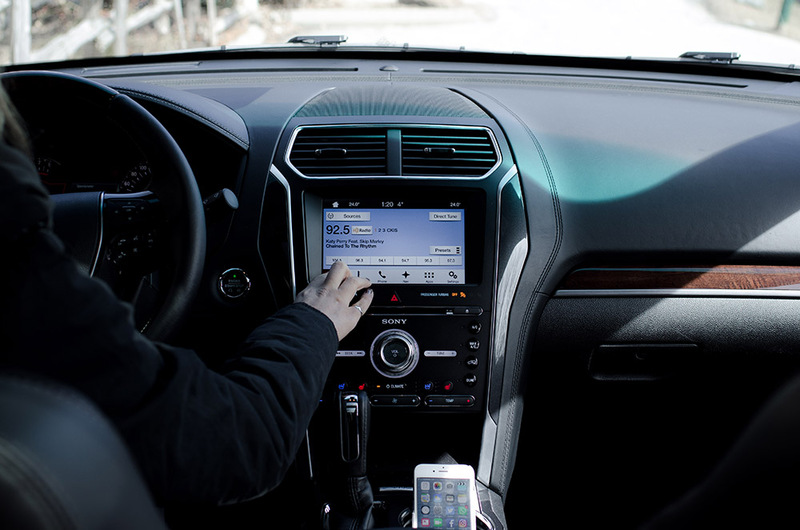 Finally, if you are a tech nerd and want a vehicle that has the latest technology including parking assist for both parallel and perpendicular, the Explorer wins again. Right now I’m driving a sedan but the hubs and I have been looking into getting a new vehicle to add to our collection that can accommodate 2 car seats, has 3 rows of seats and has a great safety record. The Ford Explorer Platinum Edition is on the list because this V6 powered vehicle meets all of those criteria and was a dream to drive. I have always been an SUV driver too. Looks like you had a great time. Looks like you had such a great time! Love the color of your bag! So pretty! Wow this looks like such a cool trip!! This sounds and looks like so much fun! Love your photos and your grey coat is gorgeous! Yumm you definitely can’t go wrong with cheese and Belgium beer! I’m also craving the pastries you have in this post… Everything just looks so delicious. omg the hot spring is soooo cool! Great ride and it looks like it was a fun excursion! Your coats are all so lovely too!